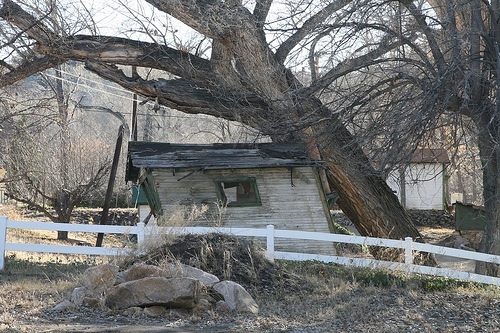 I took this picture several years ago, but it was in Prescott, and I just came from there, so I think it still counts. This entry was posted in Travel and tagged arizona, prescott on September 18, 2013 by mdw. I’m in the Phoenix airport. This entry was posted in Travel and tagged airport, arizona on September 12, 2013 by mdw. Which is right on the way to Ohio, in a non-linear sense. Yesterday I flew to Phoenix, rented a Dodge Grand Caravan (they were out of compact cars), and drove to Prescott to collect my mother, whose 65th high school reunion is the reason for going to Ohio in the first place. Today we’re driving back to Phoenix and flying to Columbus. This entry was posted in Travel and tagged arizona, ohio, prescott on September 12, 2013 by mdw. The TSA guy told me I did a “good job” taking things out of my pocket. I guess all that practice is finally starting to pay off. This entry was posted in Travel and tagged airport, arizona, ohio on September 11, 2013 by mdw. 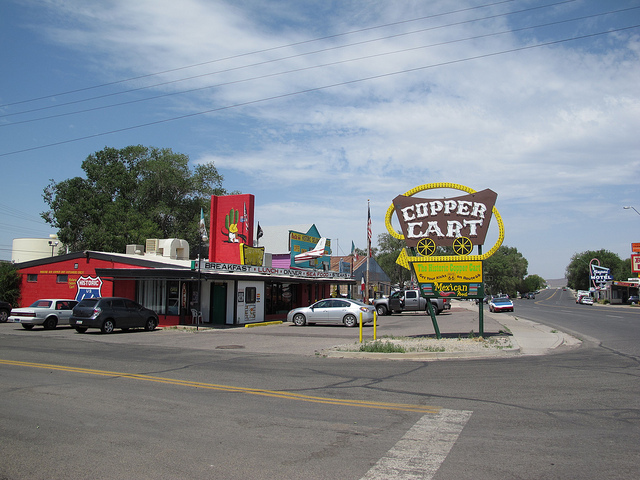 The Copper Cart in Seligman, Arizona, looking west down Route 66. This entry was posted in Travel and tagged arizona, route 66, seligman on July 6, 2011 by admin.